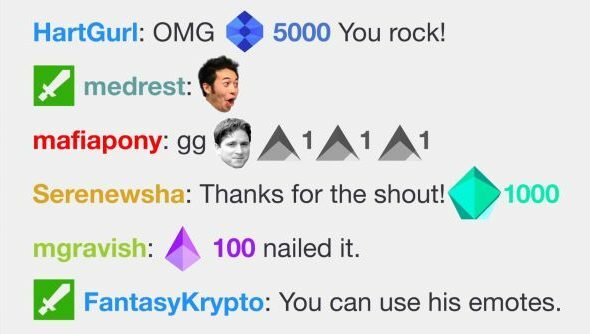 Twitch are introducing a new system for viewers to support broadcasters called Cheering. It uses a special microtransaction currency tied to your account to allow you to send flashy messages in streamer chatrooms. These have special animations attached, drawing attention to your money spending, and also tips the broadcaster for every bit you spend in their chat. The Cheer Bits are bought in advance and can then be spent in various channels. For now it’s only available on some select partner streams, but Twitch want to roll it out to all their partnered broadcasters – those with subscription buttons – soon. Which of the best PC games are your favourite to watch? What they’ve essentially done is combined two massive parts of their service, donations and chat. For ages, streamers have been reliant on third-party donations linked to Twitch alerts to make the majority of their income outside of subscription. Ad revenues are not good and haven’t been for a long time, so allowing viewers to pay for their donation message to appear on stream – usually with a large graphic of some kind and an honorary top spot for the largest donator – has been valuable. More details, including which streamers currently have the system active, are available in the official announcement. 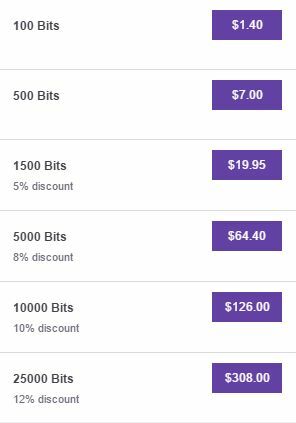 It’s not currently seeing a tonne of use in the ones I’ve checked that are online, other than novelty, but one streamer did mention that the current Twitch fee is 40%.